"Incredible Turnaround for Our Company"
Thanks for your feedback, we really appreciate it! I wanted to address your dislike you mentioned here and let you know you have a few options for connecting kintone with the other services you use. We integrate with Zapier, which allows you to create connections really simply with other web solutions. Check out more information here: https://zapier.com/zapbook/kintone/. Another option is building out a fuller integration using our open API. We have engineers on our end who can build out this integration, if you wish. Please feel free to reach me for more information about connecting your services with kintone! "Flexible and dynamic for the fast moving workplace"
Our industry is constantly changing and evolving, which means most software solutions are too structured for our use cases. Kintone, however, has a strong balance of flexibility and features that has allowed us to not only organize and improve our current workflows, but to grow our system in line with the business. The flexibility has meant no part of our workflow is left behind. Because the tool is so powerful and detailed, some of the less technical folks in the company can have a hard time fully utilizing the tools to the best of their ability. Kintone supports this with an amazing array of helpful resources, but it still adds to the overall workload. Really execute on your brainstorming going into the product. We've been able to generate a backlog of ideas that we'd like to implement and that really helps with user buy-in. Issues resulting in loss of knowledge or processes due to turnover has greatly improved. We've also created an environment that documents decisions and workflows so that no one is left in the dark on why decisions were made. So happy that you and your team are loving Kintone! It's great to hear that you're using all of Kintone's features to the fullest, while constantly developing new ideas on how you can further customize Kintone to get the best out of your solution. Excited to see what you're able to create in the future! We're always available to help if you need it, so feel free to reach out if you ever need anything at all! "Great product that does a heck of a whole lot!" nothing thus far; although I'm a newbie, I definitely see the applications for which Kintone will help us in the future -- it's almost overwhelming, it can do so much. Very easy to use and puts the control in the user's hands! No more calling in a change, waiting for someone to do it (or not), and then being able to use it. Kintone allows in-the-moment changes and complete customization. And with open APIs, you can pull data from other systems to avoid duplicity of information in several different programs. Nonprofits can't beat it! Tracking regulatory compliance issues; the senior living industry is one of the highest regulated industries out there -- we can get fined or worse if we miss complying with forms/submissions, etc. VERY IMPORTANT to track these other than paper -- and to the job, not to a specific person - so things don't fall through the cracks. "Cost Savings Technology Designed to be Easy to Use"
Ease of use. We have found this program extremely easy to use. We are looking at many other applications that we can switch over to it. Support has been good but can take up to 48 hours at times to get back to us. Overall, we have not had a need to get a quicker response. This is for you if you are looking to create databases but lack the experience. It very easy to use, and you can expect to have a working product in less than an hour. It saves time and money, a lot of both. We have been able to create inventory databases, keeping track of the number of patrons that attend our various programs, and databases with common questions asked by our customers. We have limited staff, without programming experience. This solves that issue for us. We also enjoy the mobile aspect very much. Thank you for your review! We always appreciate feedback, and our support team is happy to help at any time. As you mentioned, the platform is easy to use without requiring prior experience, and can be expanded to a variety of apps and uses. Glad to hear you've been able to utilize Kintone's features to their fullest! "Workflow without six teams before you can start using it." Simple interface layouts with plenty of available use scenarios. Great way to make a postive impact without betting the bank. Good functionality without investing huge human resources. Both browser and app accessible. Client agnostic cloud platform. Quick launch functionality. Works with iterative development. A good small organization platform with very expandable resources at reasonable price. Appropriate for enterprise, departmental or small/medium business use. Attachment handling could be better. PDF display required some extra coding. Basic and boxy interface - but not really a problem unless you are more interested in identity aesthetics than functionality. Great product to get moving instead of developing forever. Allows you to get started and do useful stuff without six teams trying to reinvent the wheel and develop the ultimate polished interface. Standard workflow issues like sales process (inquiry, quote, order, purchase, logistics, invoice inputs, payment tracking.) Also, vacation request, expense reporting and reimbursement, purchase request and requisitioning. Vendor, customer and contact databases. Better long-term project progress reporting. Less time-consuming than sorting and searching emails for information. Some secure, limited collaborations and access by individuals outside of our company. "Excellent Resource for Any Organizaiton"
Kintone is so easy to use. When I had presented what I put together to our staff, a few people made an excellent suggestion of something to add. I was able to build an example for them to look at in 15 minutes. Very intuitively put together. I guess the one thing I would like to see would be expanded audit capabilities. The current audit tool is great, but there are a few additional actions I wish could be audited. Give the trial a go. It's so easy to use you will be able to get a general idea how well Kintone would work for you. My organization needed a way to keep track of information from various products that we need to be aware of. Kintone gave us an easy way to store the information with easy accessibility. Thanks for your review and very happy to hear about your presentation! As you mentioned, Kintone is a great platform to not only store your data but also access it and work with it as well. Kintone has changed my entire approach to my work day. As someone with only basic experience with databases, I was spending a lot of time just teaching myself how to use Access. While Access is a great program with a lot of capabilities, our needs were rather specific. When I started to focus on learning how to meet those needs in kintone, I felt that I was making much more significant progress. It is easy to use and easy to learn. I can have applications up and running in minutes, as opposed to the hours or days it would require before. Kintone is missing a few basic features that I would expect to see in any data management software. Foremost among these is what Access calls a "combo box": a drop-down list of options that also allows a user to type in data that isn't on the list. If you are coming from a tech background, try not to think too much like a techie. I often find myself overthinking problems, only to discover that the solution is much simpler in kintone. We are using kintone to host our client information database, track client visits and services, track volunteer hours, and track inventory of physical resources. The primary benefit is the speed with which we can set up the apps needed to track these things, and the ease of use for our average users. I love the ability to create a customized database with no coding involved. the customer service is great. If I ever have a question, it's easy to just call and have all my questions answered. We are currently in the process of streamlining all the different programs we use as an organization and using just one, Kintone. There isn't much to dislike. Anytime I've had an issue it has been resolved right away. There are plenty of free trainings and it's loved by all in the office. We are currently using the system for our State wide programs. We can easily store all our information needed for grants etc. We are in the works to use it as our membership database, donor database, and management supervision, time sheets, etc. Thank you for your review!! We're very happy to hear about all the great things you've accomplished on Kintone. Our team deeply appreciates the feedback, and we're always available to help. Reach out to us any time if you need anything! "Easy, customized database and great customer service!" The Kintone platform is easy to customize, I can add fields to our database entries quickly and adjust filters. The customer service is excellent - they are always quick to reply and helpful. The only downside is that the linked contacts do not update throughout the company, each individual file must be updated by hand. Utilize the great customer service - they are so helpful and can show you functions of the apps that you didn't even know were there! We were using Salesforce, but the data we needed to get from our database was not easy to do with Salesforce. With Kintone I can download useful profiles, spreadsheets of contact information, and there is a handy search bar for quick finds. Thanks for your review and feedback!! Our team really appreciates the feedback, and we're always happy to help out! I'll go ahead and forward your idea to the product team. Thank you again! We are an education-focused nonprofit, and Kintone has ready-made apps for tasks such as grant-tracking, class attendance, volunteer tracking. Tim Edgefield has been an invaluable resource with his knowledge of nonprofits. The support to set up our database has been excellent, as compared to Quickbase, that basically gave us the software and said "Good luck!" SO much more user-friendly and intuitive than Quickbase - I have spent hours trying to find something as simple as adding a user, and still can't get a field to list people alphabetically by last name, which worked just fine until they updated the software. We're still implementing it, so I haven't found anything yet. AS a nonprofit, I recommend it to other nonprofits and an excellent darabase solution at a reasonable cost and outstanding customer service. Again, we're still in the implementation stage, but I can tell you that Kintone will be a great help in consolidating our multiple spreadsheets that we maintain in addition to Quickbase because it takes too much time to create. This will allow us to have everything in one place, including grant tracking and attendance. So glad to hear that you're loving Kintone! We're always happy to hear about the fantastic things our NPO users have been doing on the platform. I'll pass your message onto Tim as well--he'll be thrilled to hear it! Thank you for the great review and please feel free to reach out to us at any time if you ever need help! "Kintone saved me! Excellent toolset that is flexible and easy to use!" I like the level of flexibility that Kintone provides in terms of layout, building out a variety of field types and permissioning. The permissioning is fantastic! I can get very granular in terms of how much I can allow users to add records, delete them, edit them, manage apps, etc. You can even go as far down as the field level. The build was pretty fast after getting a hang of the user interface. It's very intuitive and you can do almost anything you can think of. I love the fact that you can also add workflows to apps for projects that require reviews or input from a number of teams. There is soo much that it can do right out of the box, and for more advanced users, you can add on a number of outside applications as well as custom java script and design. There were a few limitations. One caveat on this. I reviewed 25 applications and ended with Kintone as the winner--hands down. There are two areas where it could improve. 1. Print to PDF out of the box would be a great feature, especially if it were tied to a "share" button...so that it could be shared with others outside the system. 2. Importing of field data. For example, one of the drop down fields that I had in an app had 90 items in it. I had to enter each one separately. A bulk upload for drop downs would be a great add on. If you are looking for a quick way to capture and manage data and manage workflow, Kintone, is a great solution. You do not need to be highly technical to use it and it will save you a lot of headache in the long run. The support team is very helpful and responsive to requests. I highly recommend this solution to those with some technical prowess to very advanced users. The business problem we were solving include: the ability to capture consistent data that could be shared. Often people in these teams move around and core data gets lost. Kintone helped us with that problem. The other feature it helped us with was making sure that our people in the field had access to best practice information and could share their experiences with each other. Kintone facilitates all of this and more. It also provides a great deal of flexibility once each app is set up. We were able to get all of our apps up and running in short order and it's intuitive schema makes it easy to deploy. Even after we get feedback, changes will be done pretty quickly. Furthermore, we were able to rebuild a defunked system and replicate fairly complex functionality with a number of bonuses--namely more control over the design, which at the end of the day made the applications easier to use. I like that I was able to figure it out on my own ( for the most part) and also that I was able to quickly make changes to my Apps based on actually using them .For me this is much better than having IT decide what I need based on sometimes inaccurate understanding from their part. I wish that there would be a more robust "help" function , that can potentially include some user generated "step by step" instructions on how they solved a problem or how they were able to get a specific function to work as they wanted it. Thank you for your review! As you mentioned, figuring out how you can make Kintone work for you is a great way to learn how to use the platform. We always encourage our users to keep on exploring and testing as much as possible! Thank you for your feedback as well! Actually, we are currently developing a community space in which Kintone users can interact and potentially develop help solutions as you described here. We'll keep you posted! "Customize to your hearts desire"
Beyond just storing record data, kintone has been a wonderful way to manage multiple users, specific user permissions, and have everything available remotely! We don't even need to back up our data since kintone handles this on the back end. It's a professional business management software and it works wonders. Some inconveniences like simple functionalities (age calculator and having to manually enter a DOB) are all that I could complain about. Our NPO can create, edit, and manage our participant records with ease. There's no need to worry about storage constraints, accessibility, or security. Kintone handles all of this very well. We're very happy to hear about all the work you've been doing on Kintone! Glad you've been utilizing Kintone's features to their fullest, and if you ever require additional help or want to try something out, feel free to let us know at any time! Thank you! We always appreciate the feedback! "Easy to Use No Code Platform"
Can easily build the applications my nonprofit organization needs. Ease of use. Love the ability to actually analyze data with summary tables and pivot tables. Other database programs we tried did not have that functionality, you either had to take the data out into excel to create reports or the best you could get was counts or sums by groupings with all the raw data for the group appearing below - a report could be multiple pages. The analysis capability of kintone sold me on the program. There is nothing I dislike, just some things that I would like to see added. As administrator, I would like to be able to preview what areas and apps members see and can access, so I can make sure that my permissions are correct (see what they should, don't see what they shouldn't). It would be nice if document attachments could be previewed rather than just downloaded and if movie format attachments would load within the kintone. If you are looking for a platform that will allow you to easily create databases, collect and easily create summary reports, you really should try kintone. We use it keep records of our support to clients, keep track of reporting requirements, contracts and reports to funders. We are currently building databases of information that everyone in the organization needs. It saves us a lot of time, certain information is shared, not housed within one department - now everyone can access certain information instead of contacting someone from another department to provide a report or do an analysis for them. I am not a techie. We provided a detailed document of the platform we wanted to build. And they made it happen - fast, efficiently and affordably. This was driven by their platform, their team, knowledge and desire to help us. They helped me make a dream come true. About the only thing I can think of is pretty insignificant: reports you build cannot wrap text - so columns in report headers can be quite wide. I have been so happy I selected them. Besides helping us to create our product, they are wonderful to work for. We were working on creating a new business. The service is a system to audit/evaluate a specific area, and wanted this to also be a planning tool and resource center. We wanted a fully integrrated, self-managed platform - and kintone made it happen. Despite rolling out the product and our company just before Thanksgiving and the holiday season, after just 90 days we are beating break-even sales projections. "Perfect solution for creating custom business apps"
data limits on some of the apps. There are also some UI changes that I think would help like being able to set default views for Apps instead of it always being My View. Coming from Dynamics, this product is a God send. We use Kintone as a CRM and as a trucking Dispatch ticketing system. It's easy to use, easy to modify and the price point is perfect. Thank you so much for your review! We really appreciate your feedback and our team is always happy to help at any time! 1. Within an app, click the gearwheel on the right. 2. Click the Views tab. 3. Click and hold the drag and drop icon and drag it to the desired position. Hope that helps! Let us know if you ever have any more questions! Flexibility; range of apps and uses; ease of getting started; fair pricing. So far nothing. We are still developing the solutions and will begin training and implementation next month. Besides proving powerful and flexible solutions, Kintone also has their heart in the right place when it comes to putting world-class services within the reach of non-profits. Defining and streamlining our business process and work flow; managing customer relationships; integrating with QuickBooks online; tracking inventory. Really happy to hear you're loving Kintone! Our team is always thrilled to help our non-profit customers out in any way we can. Feel free to reach out to us at any time if you ever need any assistance! "Easy Cloud Apps for teams"
Easy to set up, easy to make new apps quickly, auto notifications were great. Minimal programming or coding required. comments on each record was very helpful to keep track of progress. The history icon that tracks changes to the records was extremely useful in digging deeper into 'what went wrong'. There was some coding required to change colors on columns etc. but the support team was good to share some basic code that I could update and tweak to use for other minor changes. The idea of spaces for groups did not really work for us as it was unclear how to really use that feature. The company had been managing a high volume solar pv construction projects with sales and operations team using excel spreadsheets and emails. There were construction/project management software platforms available but were more designed for one or few projects. We chose Kintone because it looked like we could import our entire excel spreadsheet and start a whole new cloud based method right away . The sales would upload new projects, internal managers would approve them and Operations team would take them through to next stages all the way to construction and post construction. This for 40 projects a month. If you have any issues adding the calendar to your domain, or would like some help with Spaces, I'm happy to assist you and your users! You can reach my team at support@kintone.com. "A very smooth transition with no significant issues"
Kintone is super easy to use. My organization is using it for many different solutions. Staff can easily track their outreach programs and the directors loves the easily understandable graphical reports. An increase in their support knowledge base (so I don't have to contact support) would be helpful. HR and project tracking. The graphical reporting is intuitive to use and easy for managers to read and explain. Thank you for your review! Our support team is always happy to assist, so please don't hesitate to reach out to us anytime! Our help center has a lot of great articles on Kintone's features, and our blog and monthly customer trainings are available for everyone to view. Feel free to check those out if you need help, and we appreciate all feedback! "Kintone delivers a well thought out product"
Starting right from the beginning with the purchase process through the instillation the Kintone people where right beside me to walk me through. I am 68 years old and slightly dyslexia since my youth therefore I have a difficult time following directions. Like doing a puzzle I need to have a big picture understanding before I start putting the details together. Great product well thought out for people like me looking for a basic product without having to have a PhD education.. It has been exactly hat we needed for our application, developing a library with over 1,000 entry records each with 8 fields of data. "Easy to use, very versatile, no-code tool to replace lots of excel spreadsheets!" The best part of Kintone is its versatility. With basic Microsoft Excel skills, I was able to create processes and simple apps that were able to streamline processes and save time for tasks / groups of tasks that were routine for our small (15 person) organization. Some of the tasks were a bit customized, and Kintone was a better solution than looking for a full-on software solution. In some ways, I wish I knew about Kintone's versatility from the beginning. I was introduced to it as an "HR Management" tool (simply since we used it for HR management purposes). However, after utilizing it more, I realized it could be utilized to make almost any kind of simple application we needed for processes in the company, including sales, marketing, finance, etc. There is definitely a sweet spot of valid use cases for Kintone. For me, I found it to be useful for a situation of a small, rapidly growing company (still under 50 people), as rules, processes and needs changed quickly. The customized apps we were able to create were quick to create, easy to adopt, and therefore also not a big cost when switching to something new due to organizational changes. Kintone has been a great solution for simple, customized apps for specific purposes within a relatively small organization, where it doesn't yet make sense to invest in full-on software solutions. It hits a sweet spot between managing tons of custom excel sheets for different purposes / processes, and having a full software solution that isn't quite necessary yet. "Great and Easy Product to create applications"
Easy to create forms and look ups. Instead of using a vendor to build an application, we can create applications for our clients and better support them. A few simple options are missing or can be only be done with Java script. The reason to use this product is not to have others involved. Also: Say you have a yes or no question and you pick yes | the option to the form to display different questions. The platform is great just some minor additions I see that are missing. We are though building applications for our clients on it. I researched other platforms and found this one to be easy and the sales people are easy to deal with and open to help. For our clients : Converting multiple excel or access intake systems to one on Kintone. We are able to secure data up to the row or column which is very nice. We are also creating custom Asset systems per client. Instead of using a 3rd party vendor and having them change it for our customers, we can now build it for them and support them direct. We are also migrating old print outs for orders to Ipad based ordering systems for retail. "Kintone is an excellent tool, but still needs some improvements"
Kintone allows me to build a database from scratch to incorporate everything the organization needs to track. It allows me to have multiple users and track what team members are adding to the database. Feedback from the team has been that it is an easy platform to navigate, once you understand the basic layout. I would like better reporting capability. I need reports to pull from multiple applications. Right now this is something I will have to do manually in exports. It seems like it is something they are working on, as improvements have already been made. Internal knowledge of database development is helpful. We are tracking the work different departments in the organization do to engage with community partners across the state. We are also building the database out to capture multiple layers of our work in community. I love the user friendliness! Even if you've never used a CRM before Kintone is very user friendly and intuitive. Gun to my head, the only critique I would have to say is the customer support could be a little more robust. That is being very nitpicky. AS our organization has multiple entities, Kintones allows us to share information across various departments, yes most CRm's do that, but Kintones Apps allow us to build identities for specific tasks and specific departments. The rate that we can freely share information is fantastic. "Great product for the Sr Leaders that want more than a CRM "
the fact that their is no coding to learn and you can add formulas to generate some really cool information about your sales. Need more options without purchasing plug-ins. We are a printing company that needed to keep track of Print Jobs and Customers. There are other programs online that can do this, but they are very expensive. 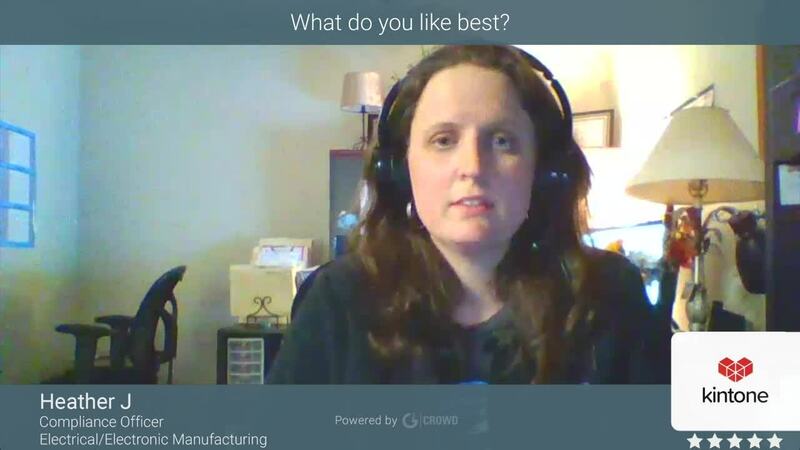 With Kintone I can create a custom option that will allow me to keep track of jobs and customers, and add options that work for my business instead of other people telling me what I need to include. I love how easy it is to create and link databases. It allows us to easily run reports that are clear and filter them by what information we need and how it correlates to other data. I wish the platform was a little more trendy looking bu that is so miniscual in my book that it really doesn't matter. Great for government vendors who do applicant tracking, client tracking and reporting on how much of a particular populations was served. we are able to keep all of our government clients organized and draft reports when they request on demand. I'm not sure how we would've been able to do applicant tracking without this database. The ability to customize the layout of the forms is something I couldn't find in this price range. I wish you could customize forms more (colors, fonts, etc.). Also, I wish there were I could create automatic exports from filters. We needed a small database to share among only a few employees so that we could get away from spreadsheets and paper. It solved our problems and we were able to get our Kintone database designed in a few days of playing with it. 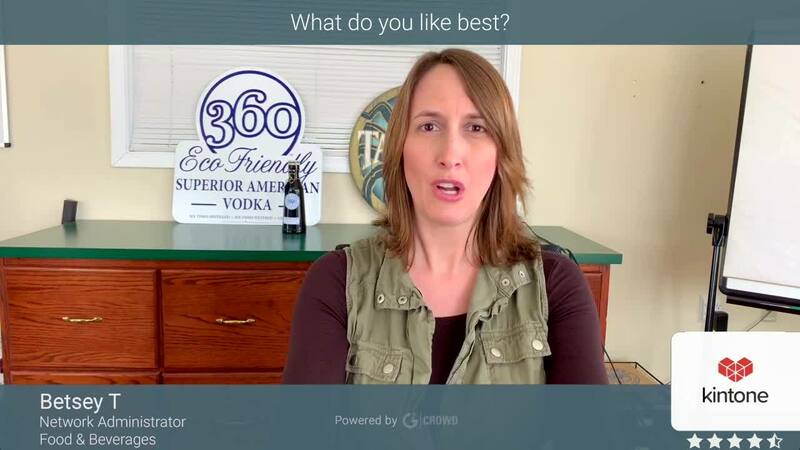 "Great service, just didn't have enough time to implement"
The interface is very intuitive and easy to navigate, it was easy to quickly start an app and get it customized to my needs. I have some programming experience but I am not proficient enough in any language to develop a full working app in a reasonable amount of time. I know that if my schedule had permitted, I would have been able to develop a full feature business app in no time at all. Unfortunately, I was not able to dive very far into the offering but from the aspects of the service that I did use, I cant think of anything that I would have changed. Kintone is providing a full featured suite of tools that could allow anyone to build out software that meets their exact needs. Make sure that you a lot enough time to really get into the trial, there is a lot going on with this service and it can be a bit overwhelming if you are not able to commit. I was looking to develop a new user management platform but just did not have the time to dedicate to the project during the trial period. Since then i have migrated to another solution but I plan to circle back on this service in future projects. I love Kintone's ability to upload an excel data sheet and format the information into a visual model. I am able to set parameters on which information I am viewing to provide an overview of my data and then if I need to view additional details. When it comes to presenting my work I just select the data I want and with a few clicks can build out a pie chart or graph. Kintone is like a brain for all those excel data points we're constantly collecting! Sometimes the sort function has a few hiccups and in order to search an information piece your spelling has to be exact to look it up. It would be nice to have a nearest match option when searching apps. Data organizing and analyzing abilities. Everything is now in a one stop shop and interconnected for complete fluidity. "My personal review of Kintone"
No coding, easy to use, web-based, run in any platform and a lot of available on-line training videos. More built-in report options needed as wee as option for user to customize more reports for their specific use. Always use their on-line videos to learn more of the product. The videos are very good. We are trying to use Kintone to compile feedback from clients to a database and well as workflow improvement. Kintone is so easy to use when building up database entry and generating template that you can incorporate workflows. Glad to hear you've been able use Kintone's features to the fullest and thank you for the feedback! Thank you for checking out our training videos as well! We upload new videos to our channel every month, including our live monthly trainings too. Please feel free to join us if you can make it! We are happy because it simplified our task of building a database for certification records. It isn't the sexiest interface and tends toward a more utilitarian look and feel. I think it is a good idea to try it out to see if it does what you want. Apparently there are a lot of different ways to use this product other than how we are using it. We are solving the problem of needing to store important records in a way that could be easily accessed by others. "very flexible, easy to use and Great tech support"
Kintone's management, tech support ate great. 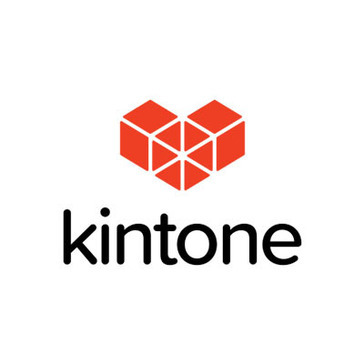 we switched our data base from Microsoft Access to Kintone. Our customized access data base was quite complecated but the Kintone team converted to their program. The transition was very smooth and after care is great. we gave up some cross reference porgram but it might be able to built the customized program by Kintone if we paid additional fee. It was difficult to update Microsoft Access due to luck of programmer. We do not worry about it anymore with Kintone. Crowd style is plus too- we do not worry about back up. When the apps are up and running the convenience of using them is great. Working with the computer interphase as the administrator is quite cumbersome. It appears it almost assumes an IT expert is a part of every account. Condominium management items however we have been slow to add items given the issues with administration. Thank you for your review! Our teams are always happy to support you, so feel free to contact us at any time if you ever need assistance! I have been searching for a user friendly cloud based database. Kintone helped with training, setup and made it very easy for me to help my Non-Profit clients. I dislike that there aren't any plugins that I could input into our NPO site, to streamline our data collection. If you are a Non Profit the price is very reasonable, and if you are a profit organization, really consider your ideal database, then ask for help by the kintone staff to help you make it. They will happily help you. Unified data collection, user error solving, and cross platform compatibility. "Easy to integrate business apps with AWS "
Ease to integrate with AWS. I needed serverless solutions to display bond price feed from third party vendor into social marketing microsite. I used kintone API with AWS API gateway to get data directly from kintone database. I hope there are more price options for small business users (Currently five users minimum). Also, I need more reporting capability with kinetone. It is easy to start creating business applications with a few clicks. Serverless data integration between third party vendors. The client is able to provide curated information to their customers. "A great product full of potential"
The apps you can create and customize are intuitive and easy to work with, not to mention by reverse customizing template apps you can digest how everything works together. Would be nice to have a few more tutorials. However, the help desk is incredibly attentive to any inquiries or questions you send (responding within an hour for my inquiry regarding the mobile app). Great customer service for a do-it-yourself software. Take some time to explore pre-made apps. Go into their settings to see how things work. If you are creative enough and a little computer savvy, this software really gives you all the controls necessary to create a comprehensive and all-inclusive database. We're using kintone to manage our extensive client database and action chart. This way by selecting one of our clients we can already view all actions that have taken place. Also the task list helps us manage where we are on certain projects. Love the form set up. Unlike Filemaker and others, the form is much more user friendly to set up. Love the fact that I can upload and save images from my phone directly to the mobile app. That is HUGE in my line of business where we are on the go a lot and don't have the means to scan documents easily. Price is good too compared to others. Great for people who do not want to deal with a developer. We provide contract foreign workers through the H-2A and H-2B nonimmigrant visa program. We have to manage a database of several hundreds of workers that includes past visas, passports, letters of recommendation, personal documentation, etc. We do not have an office and many times we have to use an iPad to take information. So being able to take pictures of documents and upload them to the database immediately is AWESOME, especially when we are recruiting from town to town or traveling to different consulates to process our workers. "Great help to manage our jobs." We are able to manage our jobs much easier with Kintone. All the information with backup documents are uploaded and shared throughout company. It helps us understand the status of each job and whom the task is currently assigned to. Easy to use. We had some problem using Kintone first we started using, but it's good now. All information for each job are now gathered in one place " Kintone", so we can later go back for the information or print out the documents and present it to customer. It saved us a lot of time. "Perfect Product For A Growing Business!!!" Kintone is easy to customize and integrate with existing business solutions. You are able to add-on functionality as you see fit for your business. Usability and modification to code and application is simple. Elasticsearch is not a tool which is currently offered. Kintone is working on developing this and should be available towards the end of 2017. The product is great. I would recommend using either the Kintone development team to implement the solution or use a third party developer that understands the business requirements and can work with the company to deliver a product. Adding speed to our process. Kintone allows us to quickly enter data and validate it. We are also able to integrate across platforms, which allows us to avoid keystroke error. "Kintone Review: Simple and Flexible Database for Teams"
Kintone, was the lightweight cloud database our team needed for one of our short term projects. It allowed us the ability to add up to 50 users at a very reasonable price. The platform is still lacking a few key features that I would need in some of my other projects, mainly relationships to multiple tables of data. Additional features like related records and additional reports would be great! We had ambassadors in the field going door to door and needed an easy way to update customer information on their phones. Having an app for Apple and Android products was very helpful! "Covers the basics at an incredible cost for a non-profit"
The core functionality was the same as other competitors, except the pricing for non-profits wasn't beatable. It is relatively simple to use for someone who has only used a competitor's product (QuickBase) and doesn't have any real coding or back end knowledge. Not a huge fan of the GUI and haven't been able to find a way to really alter that. Particularly when it comes to the forms, I wish there was a way to create more contrast and make things able to be viewed more easily. Great at providing the basics and giving you flexibility to adapt it for your own purposes. I'm tracking several processes for a project that I manage. I'm also using this database to track other projects as well which have previously only been tracked in an annoying Excel sheet. Those were a hassle to use and even worse for collaboration when people from multiple organizations need to be aware of what is going on. I'm not really too sure, we have not been using it for that long, but so far it has done the job. Thanks for your review! Happy to hear about how you and your company have been utilizing Kintone! Let us know if you ever need help at any time! "Full functionality - straight of the box"
Highly customizable platform where you can adapt the different tools and features to whatever your business needs might be. We are using it as a database to store information and perform basic cross-record matching and calculations. Easy to use and intuitive. Nothing so far. Only point for improvement would be a self-serve tool to create a calculator for scoring records, at the moment it's relatively manual. Sign up for the free trial and try it out yourself. We were sold within the first couple of days using it. Database of product information. Previously using Google Sheets which was becoming very complicated and unwieldy. Very satisfied with Kintone's product. "Finally the database I have been searching for!" Kintone is completely customizable - I can create profiles that print perfectly for my trade show books. Very easy, I can add any field I need for my business specifically. Additionally, you can duplicate records for faster entry with contacts from the same company. The search function is fantastic - I can search by company, contact, country, market....you name it. Saves so much time. Nothing to dislike at the moment! Everything is working great so far. Maybe if when printing there was an option for the text boxes not to print around the text? Worth it! Saves me so much time. My company had been using Salesforce for three years, but it was clunky and unable to print out the information that I needed. No search function, complicated report processes, etc. Kintone is solving those problems for us right away! It's amazing. "A robust platform with endless flexibility "
The power to customize is incredible. The flexibility to build custom apps is hard to beat. Couldn’t imagine a better solution for our growing non-profit. We are able to track volunteer activities and hours properly for the first time. Tracking with ease has given us accurate measurables to report to our board and potential funders. Nothing so far. The product probably offers more than we actually need. organizing and keeping track of boat inventory in a space where two employees can access from different workstations. * We monitor all Kintone reviews to prevent fraudulent reviews and keep review quality high. We do not post reviews by company employees or direct competitors. Validated reviews require the user to submit a screenshot of the product containing their user ID, in order to verify a user is an actual user of the product. Hi there! Are you looking to implement a solution like Kintone?